Is it time to chase those winter blues away? We couldn’t agree more! That’s why we’re looking ahead to the spring design trends that will help to spruce up our homes (and give them a more modern feel)! From colours and patterns to textures and accents, you can find inexpensive trends you can incorporate into your interior design this season! Gaining popularity last year, tropical prints will continue in 2018. The major difference between the prints from last year and the one’s you’ll see this year, are that last year’s prints were full of vivid colours, oftentimes accompanied by a sunny, bright background. This year, the prints will be darker, featuring more jungle-esque backgrounds, and staying true to their deep green colours. 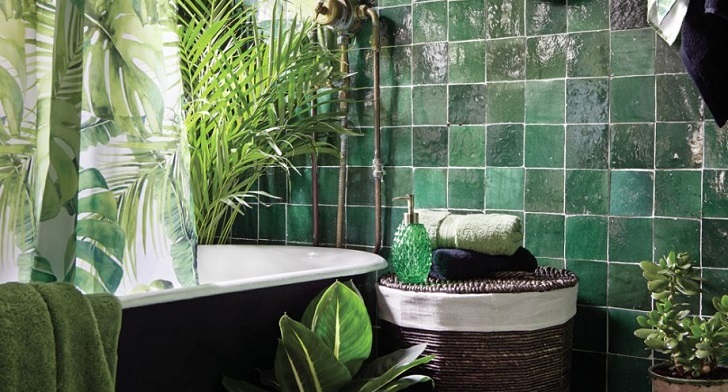 And if adding tropical prints isn’t for you, consider adding more plant-life around your home! Herringbone has traditionally been used in flooring and as backsplashes in kitchens, but now, this eye-catching pattern is no longer being confined to these areas. Brightened up by berry and teal colours, or incorporating a fun use of monochromatic tones, this herringbone design will likely be seen on walls, window coverings, and accents this spring. 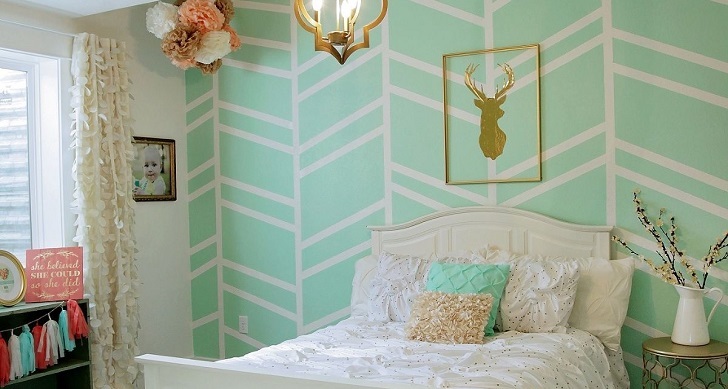 You’ll get a taste of a traditional pattern but with a modern twist. You scream, I scream, we all scream for ice cream! 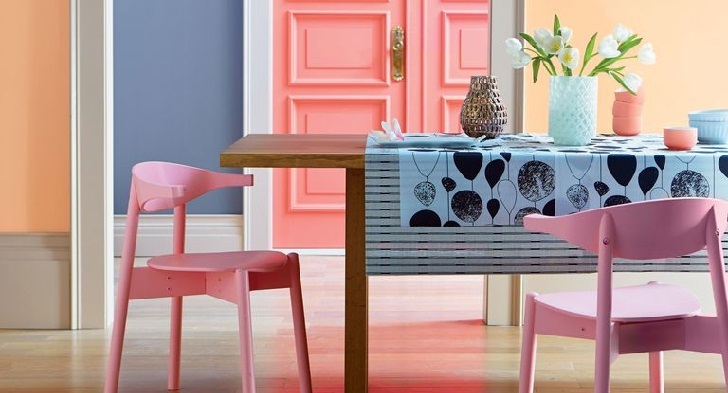 This spring, find a way to incorporate pastels into your home’s design. Consider adding a bright, fun accent wall, or find a way to incorporate accent pieces and furniture in these pastel hues to your design. If you’re brave, you can even combine several fun colours to really make your design pop! 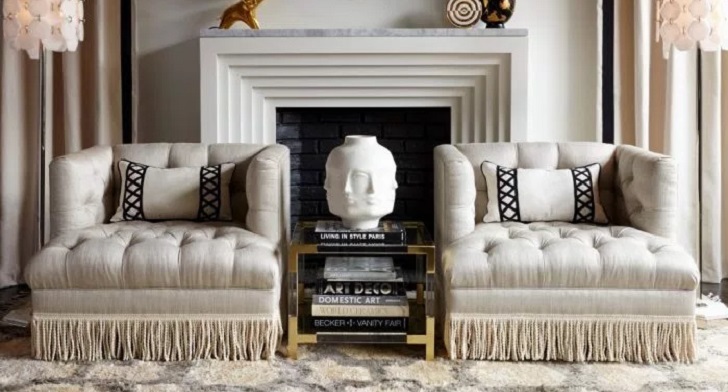 Last year saw the emergence of metallic accents – metallics even found their way into paints and metal finishes – but this year gold will dominate your interior designs! 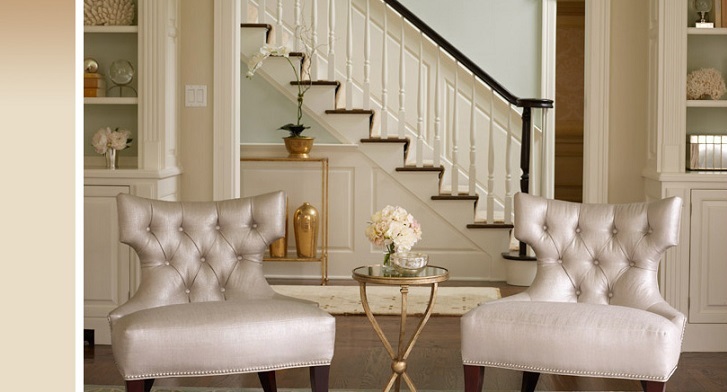 Add a sense of decadence and elegance to your finishes with gold detailing (i.e. door knobs, handles, etc.) and gold accents (i.e. lamp bottoms, picture frames, vases, etc.). Some more style-savvy consumers may even bring mango wood furnishings with brass and gold leaf accents into their design. Out with the old (and plain) accents from the past. This season, expect to see accents that are (or at least look and feel) handmade! From macramé and fringing to tassels and feathers, add some fun to your home with these design embellishments! You’ll likely see this trend on cushions, wall hangings, throws, rugs, and accessories, but let your imagination run wild! If you’re looking to update your home’s interior design this spring, think about incorporating more fun and unexpected colours, embellishments, and accents! And, as always, think about the entire space before making a dramatic change! An accent wall might sound like a great idea but not if the colour is going to clash with all your furniture.